Mrs. Lugones is excited to become part of the Divine Wisdom Catholic Academy family. This year she will be teaching 5th and 6th grade Math as well as mentoring colleagues with math planning and instruction strategies. Mrs. Lugones has many years of Math instruction experience with both students and faculty in Catholic Education. Her Math curriculum knowledge and experience in identifying instructional needs will help provide additional support to Divine Wisdom Catholic Academy Math program. 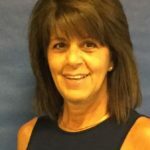 Throughout her career, Mrs. Lugones has taught grades first through sixth and has developed, implemented and instructed a Math Lab Hands-on Math program for primary and intermediate grades. She then went on to become a Curriculum Coordinator and mentor for teachers in planning, assessing and incorporating common core standards across the curriculum. Her enthusiasm for helping and developing diverse teaching strategies continues to motivate her passion to have students and teachers work towards achieving to the best of their abilities. It takes hard work and a desire to learn more, and Mrs. Lugones is looking forward to working hard and teaching at Divine Wisdom Catholic Academy. She feels blessed and honored to begin this new chapter in her career and looks forward to becoming an asset to students and faculty at Divine Wisdom Catholic Academy.